It has taken over 20 years to assemble the direct team and support network that drives our business. 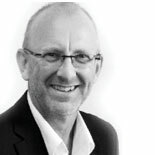 Founded by Mike Beeley in 2016 after operating businesses in the Employer marketing sector since 1992, the team has worked together continuously for the past two decades helping Australian organisations understand and communicate their EVP and Employer Brand in the APAC region. We maintain a broad and deep network of external specialists such as photographers, videographers and digital developers, so we can call on the perfect skills for each project, both locally and further afield. Global organisations often require global approach for EVP and Employer Brand development, so we have been called on to either lead the global project from Australia, or work with our global network and deliver insights and strategy for Australia. As part of a global network of Employer Brand specialists, we are able to provide representation across the globe to communicate with local audiences or returning expats, as well as ongoing in-country capability to ensure employer brand consistency for growing Australian organisations or multi-national companies. Find out more about the OneAgent global network here. We are one of the most experienced teams in the Talent Communications industry, firmly committed to bringing Australia into world-class contention. Starting his career in 1985 in the UK with a specialist Recruitment Advertising agency, Mike has helped drive the evolution of the industry into a strategic talent pipelining partner to organisations. Moving to Australia in 1989 and steering through multiple economic and industry cycles, he continues to strive towards more recognition for HR within organisations, turning complex challenges into simple and elegant solutions, and to lift the quality of communications across the sector. 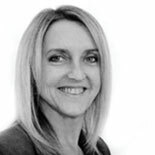 Joining Mike in 1998 at his first employer branding business, Susan has developed her understanding of and expertise in talent communications across both private and public sectors. She now heads up the Brand & Insight service stream of Lightbox, discovering the organisational truths with skills ranging from designing and executing complex research schedules, gathering data quickly and effectively, turning tens of thousands of words from data capture into simple and clear conclusions and tightly focused briefs for the Creative team to Define and Active communications. Occasionally she is called upon to co-ordinate projects across multiple countries, but always loves coming home. Joining the world of Employer Marketing in 2013 after a successful career in media management, Sonia spends most of her time exploring the endlessly-growing and changing landscape of traditional and emerging media options open to today’s Talent Managers. 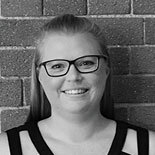 Getting involved early in the Discovery phase of our projects, she guides clients through the Definition of the EVP model, the Development of the creative messaging and the Deployment of the communications across multiple internal and external media channels. She now heads up the Brand & Insight service stream of Lightbox, discovering the organisational truths with skills ranging from designing and executing complex research schedules, gathering data quickly and effectively, turning tens of thousands of words from data capture into simple and clear conclusions and tightly focused briefs for the Creative team to Define and Activation teams. Occasionally she is called upon to co-ordinate projects across multiple countries, but always loves coming home. Joining the world of Employer Marketing in 2013 after a successful career in media management, Sonia spends most of her time exploring which of the endlessly-growing and changing landscape of traditional and emerging media options open to today's Talent Managers.